1. 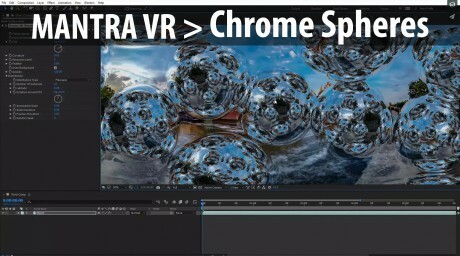 Chrome Spheres Simulates one or more curved mirrors of arbitrary size and distribution. 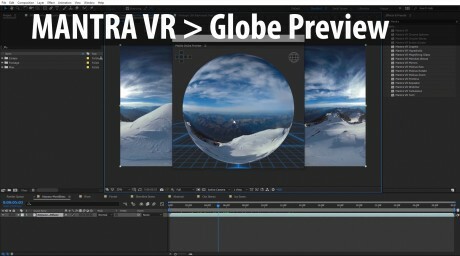 Curvature is set to simulate hemisphere by default. 2. 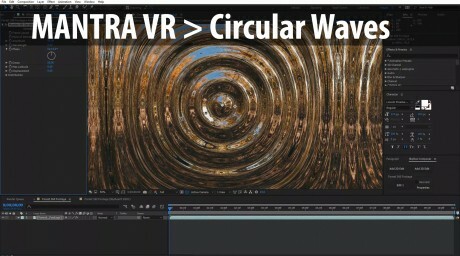 Circular Waves Simulates capillary waves e.g. water ripples. Allows to control wave length, wave amplitude, frequency, decay, etc. 3. 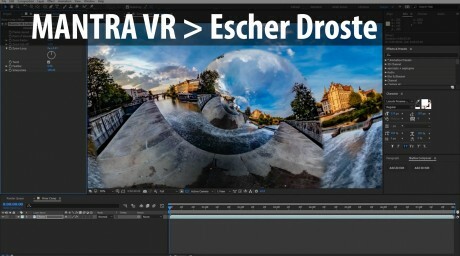 Escher Droste Implements Escher & Droste effects, separately or combined. Droste effect allows infinite recursive repetitions of the original frame. Escher effect allows to twist repetitions recursively into the spiral. 4. 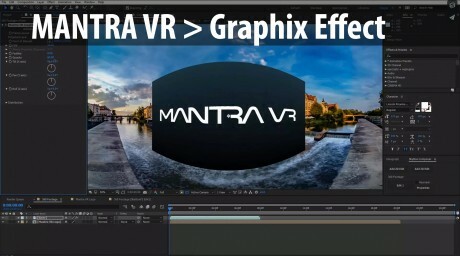 Graphix Allows to place and distribute flat 2D graphics or text across the sphere. 5. 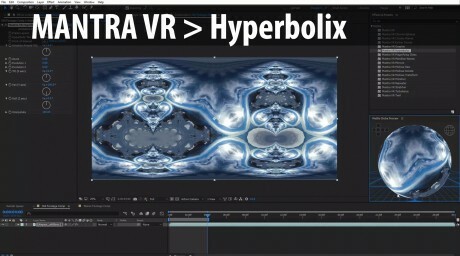 Hyperbolix Implements hyperbolic tiling algorithm for 360. Rich set of parameters allows to achieve different kaleidoscope like warps of original frame. 6. Magnifying Glass Simulates one ore more magnifying glasses of arbitrary size and distribution. 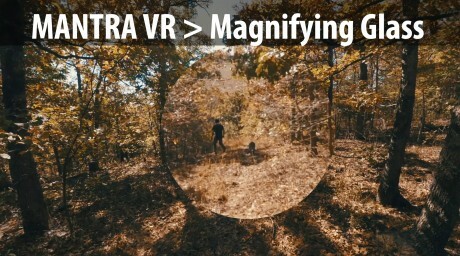 Magnifying power can be adjusted. 7. 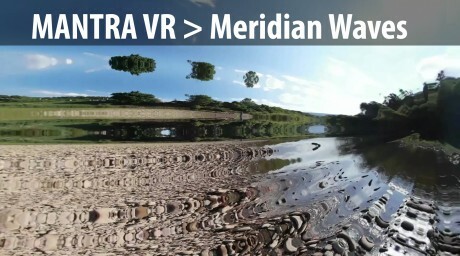 Meridian Waves Simulates sinusoidal waves across the lines of longitude (meridians) on the sphere. Allows to control wave length, wave amplitude, frequency, decay, etc. 8. Mirrors Simulates one or more flat mirrors of arbitrary size and distribution. It reflects the opposite side of the enclosing sphere. 9. 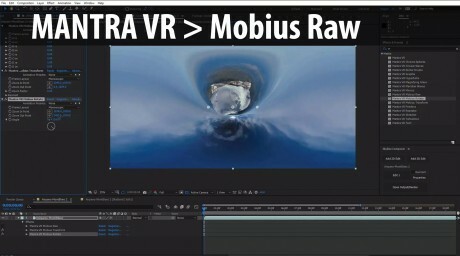 Mobius Raw Allows all you to create your own effects using Math. Based on values of a complex matrix, with 4 values, each being a complex number. You can apply specific complex values - if you know your math! Otherwise, just play around with the controls to spontaneously create effects. 10. 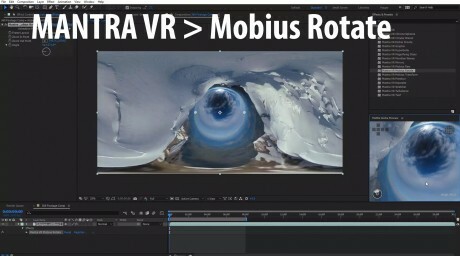 Mobius Rotate - Little Planet/Wormhole Effect Allows to rotate original sphere around two arbitrary points selected on the sphere. 11. 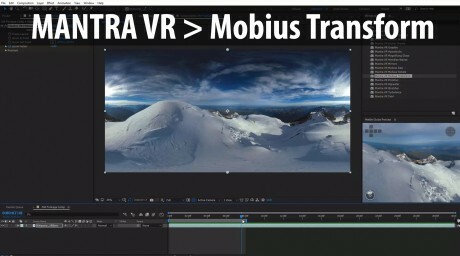 Mobius Transform - Virtual Dolly In Allows to zoom original sphere to arbitrary point selected on the sphere. Zoom out point can be also selected arbitrarily. 12. 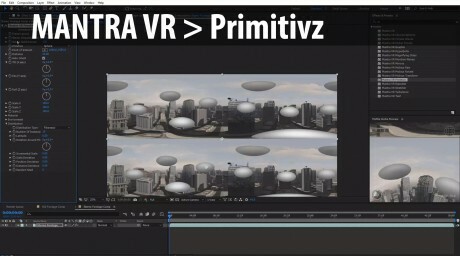 Primitivz Allows for primitives to be added too the scene. Uses image based lighting - reacts to the environment. 13. 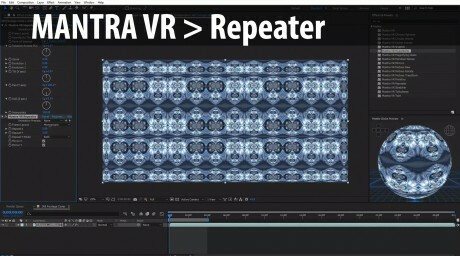 Repeater Replicates original frame horizontally, vertically or in both directions at the same time. 14. 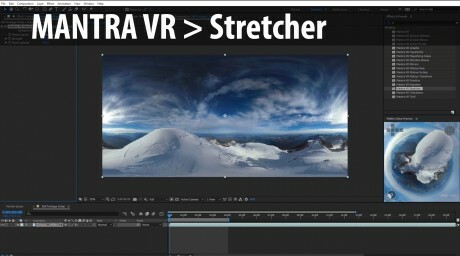 Stretcher Allows to stretch or shrink the sphere around arbitrary latitude. 15. 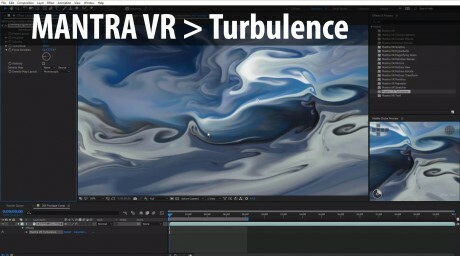 Turbulence Allows original frame to transform into a painterly Van Gogh “Starry Night” look, based on physical turbulent flow simulation. 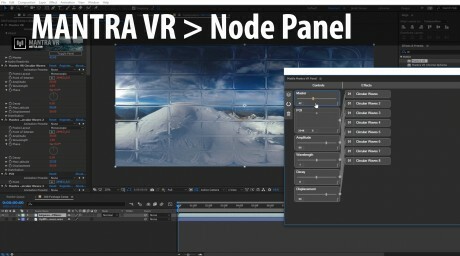 Requires a static image, not video. You animate the progress of the effect. 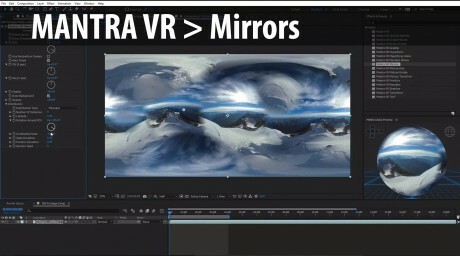 Works on 2D and spherical image . 16. 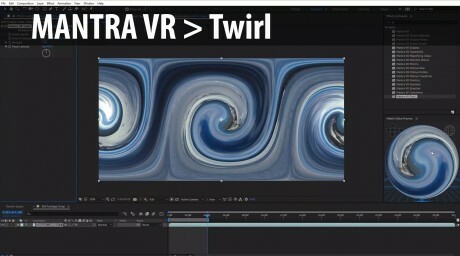 Twirl Allows original frame to transform into a spiral, or twirl.